Arsene Wenger's 828th and final Premier League match in charge of Arsenal ended in a 1-0 win over Huddersfield Town. Arsene Wenger's Arsenal reign came to an end in winning fashion on Sunday as his side claimed a 1-0 victory over Huddersfield Town at John Smith's Stadium. A first-half goal from Pierre-Emerick Aubameyang, his 10th in the Premier League since arriving from Borussia Dortmund, was enough to secure the Gunners' first points away from home in 2018. It also allowed Wenger to celebrate victory in his 828th and final top-flight match in charge at the 54th different ground he has visited as Gunners boss in the competition. 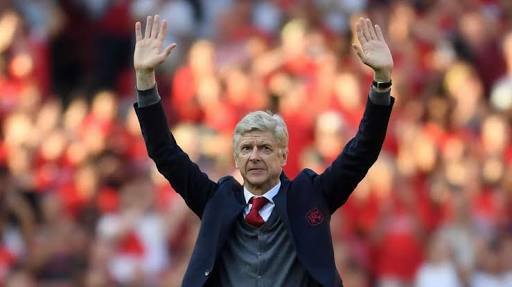 A guard of honour greeted Wenger as he made his way out onto the pitch and two planes carrying banners wishing him a fond farewell were flown over the ground during the first half. There was little to shout about on the pitch, with Arsenal secure in sixth place and Huddersfield having guaranteed their survival with their 1-1 draw at Chelsea on Wednesday. Aubameyang's close-range finish was enough to separate the teams despite some second-half pressure from the hosts, giving Wenger a fitting farewell ahead of a new era in north London after 22 years at the helm.